Electricity provider Lake Country Power of Minnesota reaches nearly 41,000 members over 10,000 square miles of beautiful, scenic northern Minnesota. With this scope, it should come as no surprise it would be searching for something with real impact when its officials wanted a new identification monument sign to enhance the entrance at its service center in Mountain Iron, Minnesota. The one specification: Because of the dark so early in the upper Midwest during winters, executives requested a unique monument sign that would be legible both during daytime and nighttime hours. 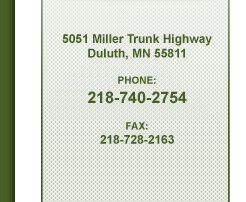 Lake Country Power turned to Summit Signs™ in Duluth, Minnesota to transform this idea into reality. Summit Signs is a full-service sign company with five employees on staff. The company serves businesses in northeastern Minnesota and northwestern Wisconsin, and is a division of The JPG Group, a regional advertising, marketing and public relations firm. 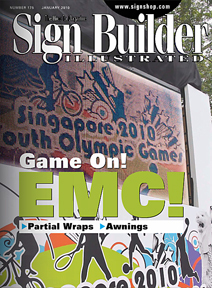 "We're experienced in designing all types of signage," says Summit Signs Sales Manager Rusty Marshall. "Our staff of creative designers and skilled craftsmen work with clients from concept to completion to ensure they receive a sign solution that enhances the look of their business and meets their budget requirements." It's this background that made Summit Signs a logical choice for designing and installing the monument sign. The company utilized its entire team of sign professionals to meet the creative, technical, and functional needs of the Lake Country Power monument sign. "Lake Country Power has been a long-standing client for our parent company," explains Marshall. "When executives met with The JPG Group to discuss their plans to build this monument sign, our sign services came into play." Like all its other work, Summit Signs began by setting up a meeting with the Lake Country Power executives to discuss their vision for the project and allotted budget. "Once we understand this key information, we'll then bring our creative and technical teams together to begin designing the sign," says Marshall. On this particular project, Summit Signs Lead Designer Jeff Spry utilized Adobe® Illustrator™ to create various concepts. "We wanted to create a one-of-a-kind sign," he says. Spry determined that the best design would incorporate the unique styling of the Lake Country Power logo (in this case, blue-and-green waves and a semi-circle of red, yellow, and blue figures touching hands). In fact, the cap and base of the monument sign are modeled on the wavy aspects. "The biggest challenge was designing a monument sign so dynamic that it could be seen during the day, as well as at night," says Spry. With the design approved by all parties, the focus then turned toward fabrication. Final specs called for the Lake Country Power monument to measure ten-feet tall, seven-and-a-half-feet in wide, and eighteen inches in deep. Summit Signs turned to Quality Manufacturing, Inc. (www.qualitymanufacturing.com) of St. Paul, Minnesota. This project wasn't the first time that Summit Signs had worked with the wholesaler. "They have a large manufacturing facility with state-of-the-art equipment that has handled all the sign jobs we sent to them," says Marshall. The face of the monument sign was routed with 3/4-inch push-through acrylic on the copy. "We digitally printed the background of the Lake Country Power face and applied a clear laminate," explains Quality Manufacturing Vice President John Hoffman. As mentioned, one of the sign's major design requests was that it look equally impressive during the day and at night. Because of this, it was important to select the appropriate light source. "[Quality Manufacturing] illumination specialists suggested this design would best be brought to life with internal fluorescent lighting," states Marshall. Internal fluorescent illumination gives the push-thru acrylic a halo effect, while the external down lighting installed along the custom top provides soft light to the background. "The lower copy is internally illuminated with routed faces and flat-white polycarbonate back-up copy," says Hoffman. "This [particular set-up] gives the sign three different visions of light–which, in turn, creates a sign that's very pleasing to view at night." The finished monument weighs approximately 450 pounds and took about eighty hours to completely build. It features a center pole mount with a forty-eight-inch cage bolt. Summit Signs used a two-man team to install the sign. Due to extreme winters and heavy snowfall in northern Minnesota, the footings for the base needed to be six feet deep. Summit Signs poured the concrete and used an anchor bolt system on the base–all in temperatures below 0°F with the frost line at three feet deep. It only took about sixteen hours to accomplish the installation. Since the monument sign was designed and fabricated to be installed as one piece, Summit Signs only needed to use its bucket truck with a jib crane to cover the base. "Part of the shroud was removable so that the sign could be bolted down," explains Marshall. Reaction to the monument has been extremely positive, and Marshall considers it amongst his company's best work. "Our client has shared with us the positive feedback they've received," he says, "and we look forward to servicing their future signage needs." © 2015, Summit Signs. All rights reserved.